It's been a while since this news was relevant, but the Pixel XL's successor was initially codenamed 'muskie.' However, we learned that muskie was shelved in favor of 'taimen,' which is the Pixel 2 XL we have today. But XDA has done some digging and discovered some interesting specs that muskie would have had. Among these is a massive 3830mAh battery, which is pretty interesting. This information is courtesy of the latest Android-8.0.0_r24 branch that also released 'walleye' (Pixel 2) and taimen (Pixel 2 XL) source codes. The product's manufacturer was marked as Google, indicating that this was a true Google device. Some lines in the battery driver code point to an HTC-manufactured battery, meaning that like the Pixel 2, it was likely made by HTC. Under battery capacity, we see a 3830mAh statistic listed. That's notably larger than the Pixel 2 XL's 3520mAh unit, which is interesting considering muskie was intended to be a smaller device than the 2 XL we have now. (But knowing HTC, it'd have gigantic bezels, especially given that huge battery under the hood. Just look at the front of the Pixel 2.) We also know that muskie's DPI was slated to be 560, the same as the Pixel 2 XL's. And lastly, the Pixel Visual Core was going to be included. 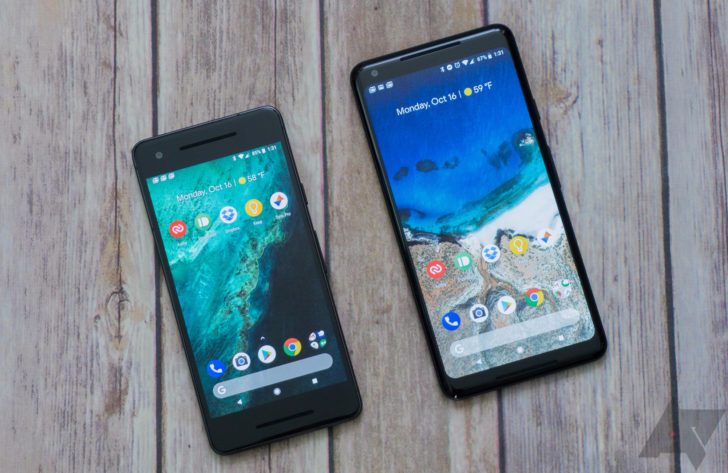 Would you have wanted the Pixel 2 XL to be smaller but have a larger battery? Let us know in the comments below.